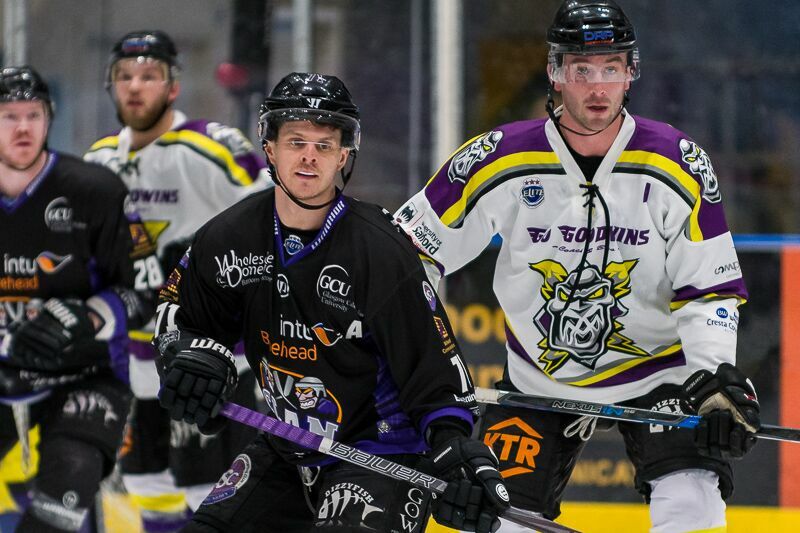 TICKETS: Your Go Goodwin’s Manchester Storm take on the Nottingham Panthers on the 18th March 2018 at 5:30 pm, here at Planet Ice Altrincham in Elite League action! Tickets can be ordered online, by calling the box office on 0161 926 8782, or in person at the box office. 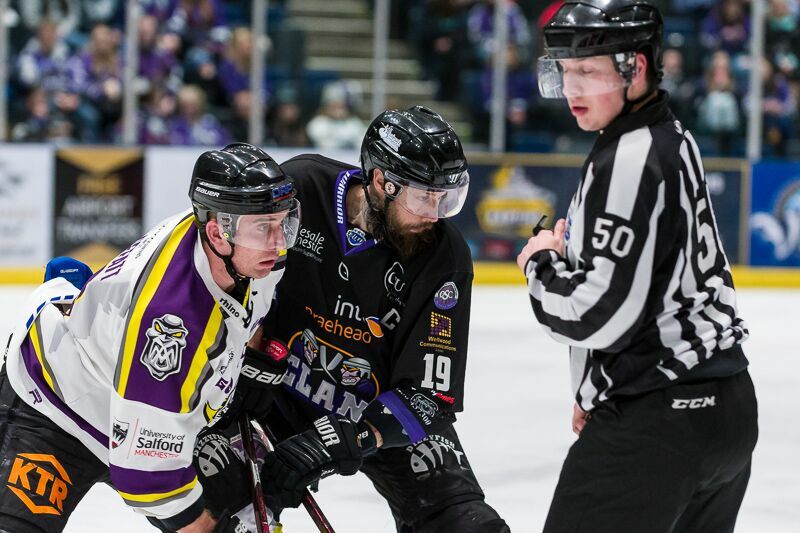 A Luke Moffatt’s overtime winner helped your Go Goodwins Manchester Storm close in on league leaders, the Cardiff Devils, as we secure a 3-2 overtime win at the Braehead Clan. Storm started the period flying and caused numerous issues for the home side. 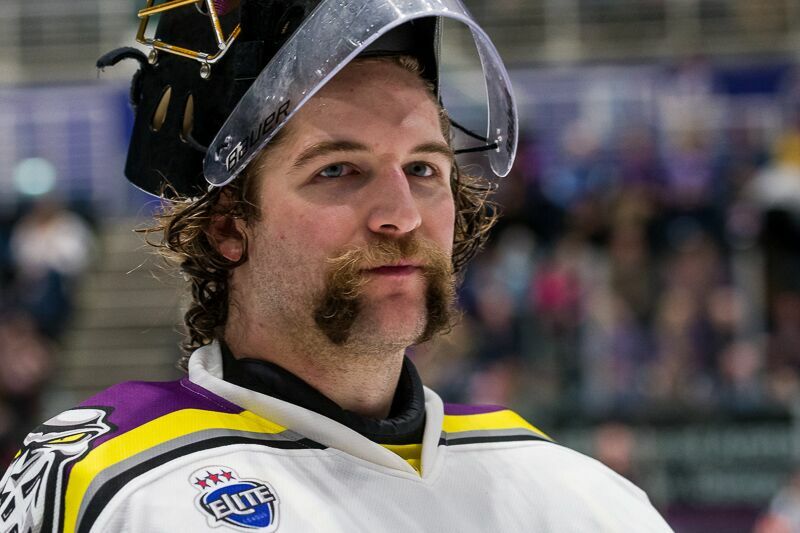 Their efforts were rewarded, when Moffatt’s shot bounced off the crossbar and ended with Dane Byers tucking away the rebound past the Clan’s netminder Ryan Nie. 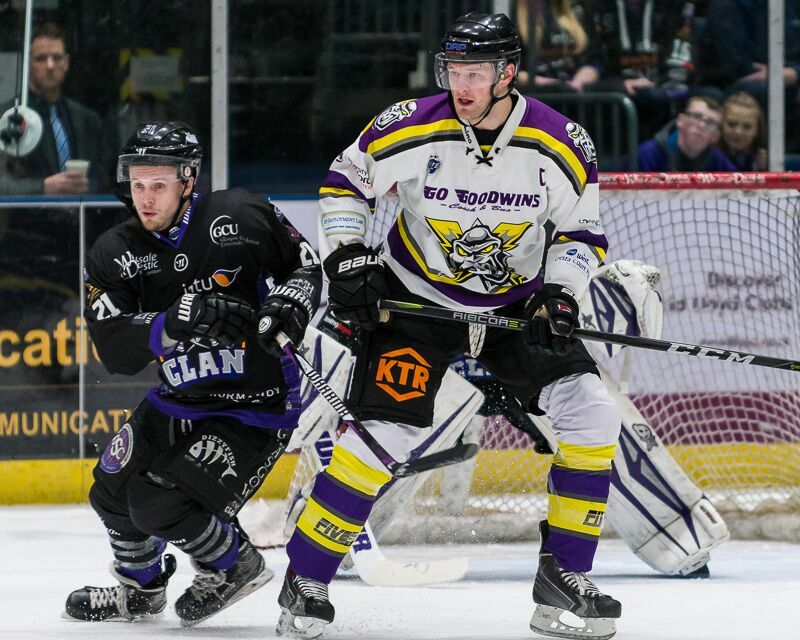 Minutes later, Braehead hit back, as Michal Gutwald got the final touch on a puck delivered from the right by Landon Oslanski, as both sides went in level at one goal each. Following a shooting chance on goal being impeded by Matt Stanisz a penalty shot was awarded to Adam Brace, but he saw his penalty effort blocked by Mike Clemente. The play flowed end to end for much of the second, but the Storm were able to go ahead before the end of the second, when Linden Springer pounced on a low rebound off Nie and into the net. 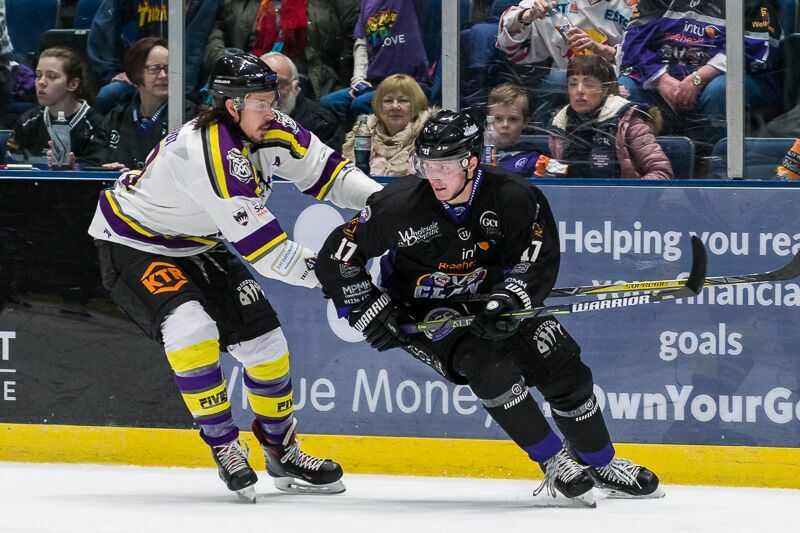 Braehead were able to tie the game up once again though, when Brendan Brooks set up Robbie Lepine, who fired into the top right-hand corner of the Storm net to make it 2-2. 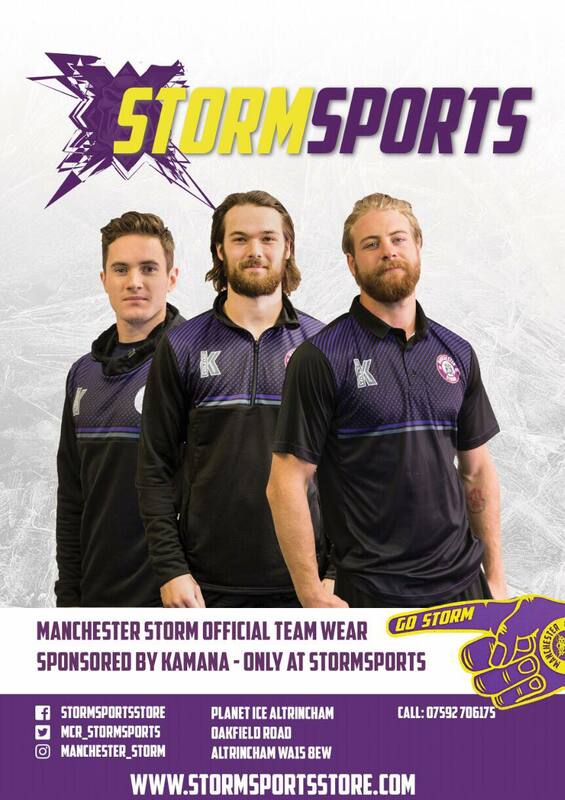 With no winner found after 60, both teams headed into overtime, which eventually saw Moffatt slot home a low shot past Nie, and into the Clan net, to claim victory for the title-chasing Manchester Storm.